Senior management and external auditors considering indirect tax not material and a high priority. The low risks qualification of indirect tax likely results in budget constraints. 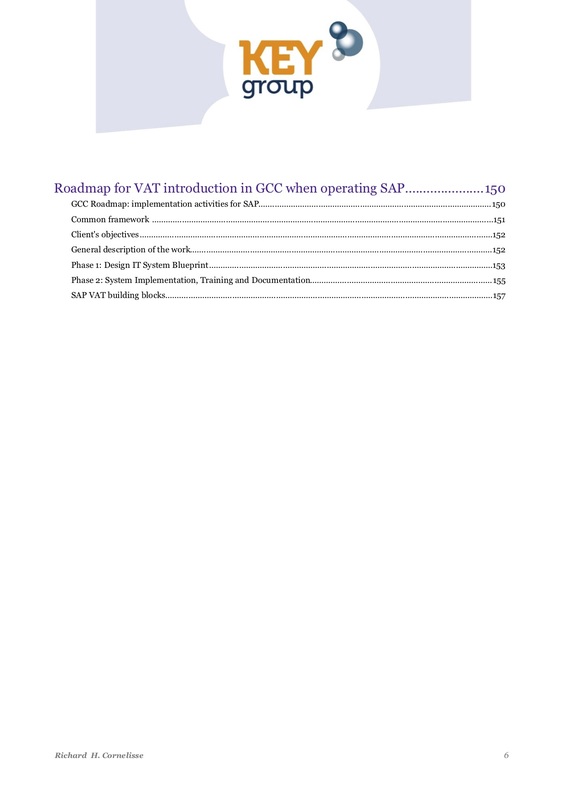 Lack of specific VAT/GST measurable performance goals visible to the CFO. Lack of proper prioritization between lower value activities and higher value activities. 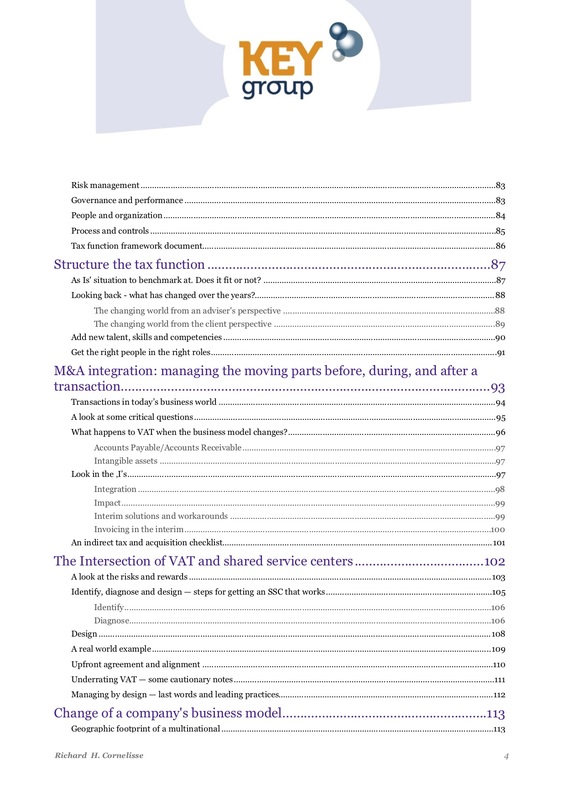 Indirect Tax function has many competing priorities and insufficient time or resources. Historically, the tax function in general focused on other areas, allowing other departments and local offices a free hand to deal with the company's indirect taxes. 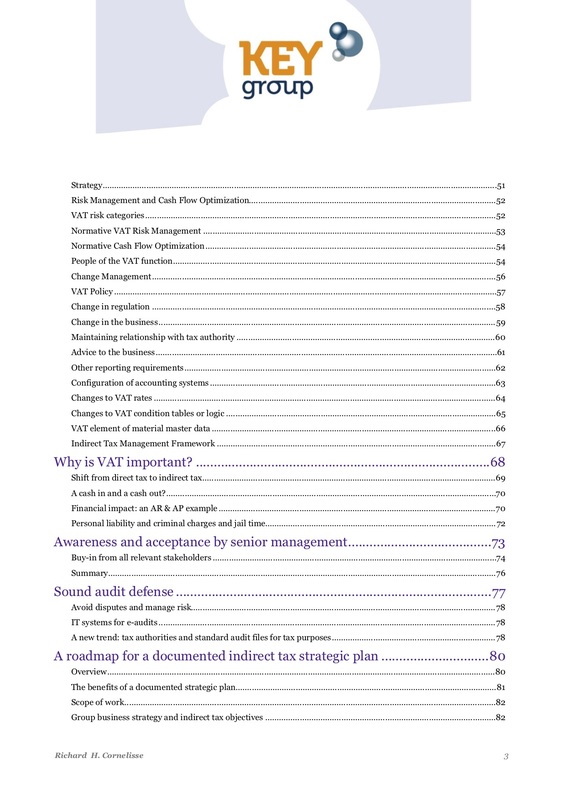 In most companies Finance and Accounting is accountable for indirect tax. 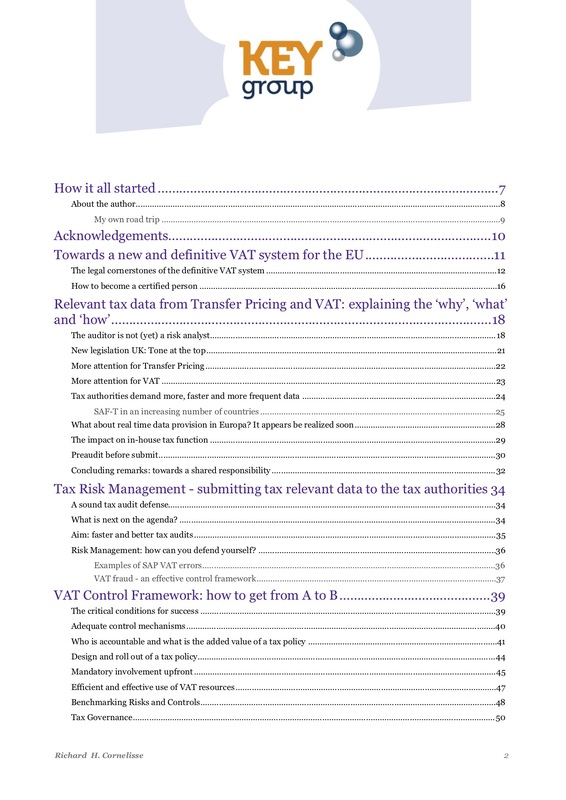 It seems that the (indirect) tax department is often the last to know what is going on, is forced to be the show stopper when other parts of the business thought they were are ready to ‘go live’. Benchmarking provides objective evidence. 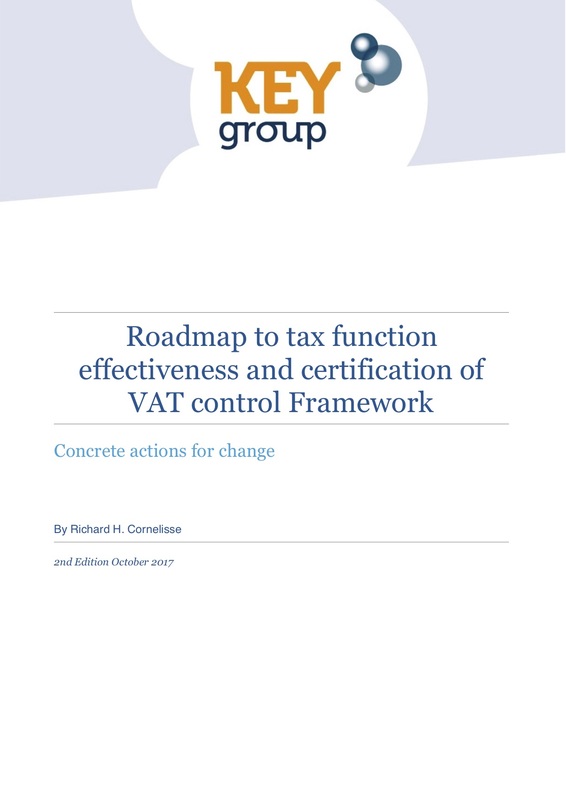 It can show whether or not you have achieved your objective set such as a 'mature' tax function' or make visible what needs to be done to make that happen. It might provide the extra arguments to realize change and get buy-in. If indirect tax risks are truly that high, then shouldn’t it receive more attention from the CFO? "That’s exactly the reason I started the Global Indirect Tax Management initiative. It’s not that the problem is unknown among the multinationals, but they just don’t share information sufficiently. 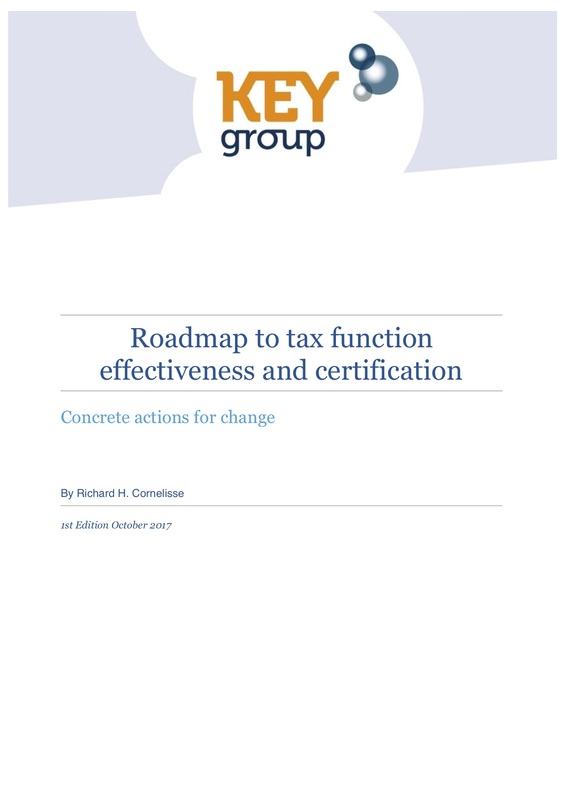 The Indirect Tax Function is aware of the fact that it is understaffed and that budget is too limited to optimally execute its tasks, but they often don’t know how to change this and get it on the agenda of the CFO." At Andersen around 2000, I discovered that my advice about VAT cash flow optimization was wrongly implemented in the ERP system resulting in a cash flow disadvantage for many years. That was my eye opener and was actually the reason that I set up as one of the first a team with a focus on ERP and indirect tax solutions. Understanding the root cause and solving the real problem became from that moment on my mantra and I also started to write and share my views. Certain views - looking back - can now be argued, but that is exactly the reason why I am sharing these articles as it simply shows my way of thinking at that time and gives some insight about developments. The Andersen team continued when we moved to EY. We branded the service offering in 2002: 'ISIS' (Indirect tax Solutions for Information Systems). In hindsight not really a good name. 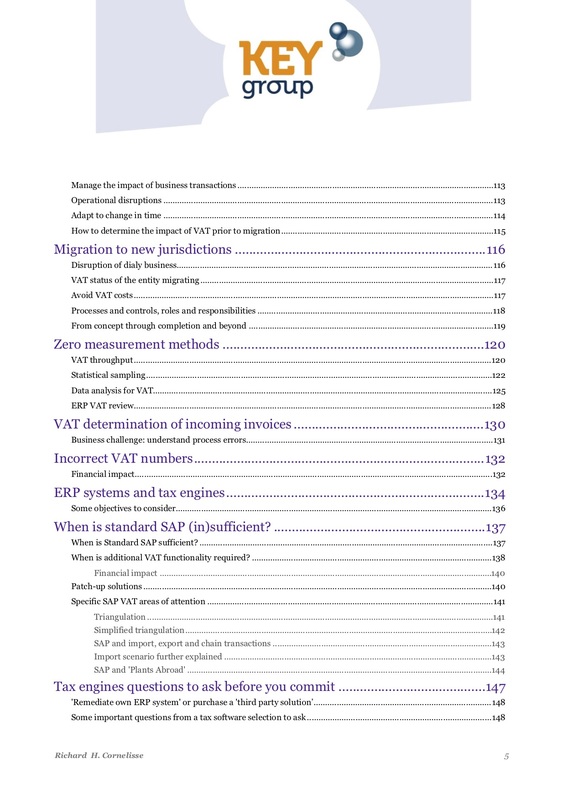 VAT ERP remains still an important VAT critical process to manage, however it is only one of the building blocks of indirect tax function effectiveness. The launch of this website has taken it a step further as all of its building blocks are addressed and discussed. I refer to the 'Tables of Contents'.